The Rebglo project seeks to address and improve on current cryptocurrency mining inefficiencies with a combination of software and hardware solutions. 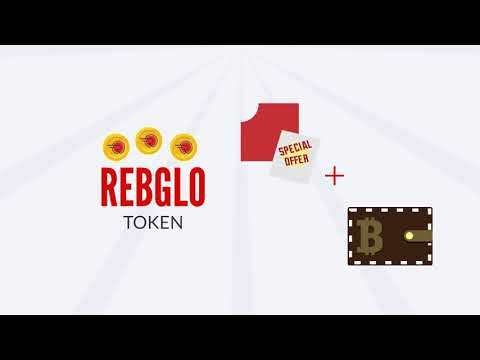 The Rebglo project is driven by the Rebglo token, an ERC-20 Token nestled on the Ethereum Block Chain. A total supply of 10 billion Rebglo tokens will be issued. Rebglo’s HETTARER is currently in production and will be ready to be delivered for global sales. The HETTARER technology improves battery life by 300 per cent and reduces charging times by 50 per cent. The integration of HETTARER technology into the L2 system is currently underway and should be ready for launch, together with the L2 system, in the coming months. Currently, REBGLO’s software mining enhancement solutions are already completed and poised to be rolled out for implementation on the mining farms. Mining efficiency has been benchmarked to improve by 17.2 per cent with the introduction of Data Transmission Technology. REBGLO’s L2 Optimized Mining solutions are currently under development and will be available exclusively to REBGLO mining farms in the near future. Current beta system tests have also proven that the L2 system will improve the mining hash rate efficiency by 160 per cent. To power its operations, REBGLO will issue the REBGLO (REB) tokenon Ethereum as an ERC20 token. Smart contracts will automatically connect to a centralized system for HETTARER distribution to protect and maintain the REBGLO token holder privacy and deliver HETTARER to our token holders. The creation of REBGLO & HETTARER was based on trying to solve the ever-growing & fast-paced economy through energy conservation. Based on speed-up of innovative circulation, we develop the proposals of energy environment, the approach to real economy and new lifestyle in world. KYC was not conducted on key members in the team. This is a serious flag. White paper - The white paper has outlined the problem plaguing the crypto mining industry (as a subset of energy industry as a whole). The Hettarar system has been on the market for sometime and the idea is quite unique to employ it for crypto - mining to increase profits. But, no information has been provided about the testing beyond the % improvement in performance. There is a lack of information for any investor in all the aspects including location of mining farm, future business model, even lack of complete team member list, etc. Team - The team consists of two members with an advisory committee. I hope this is actually not the case. Two founders with a white paper!!! Clarifications? Tokenomics - The tokenomics revolve around sharing 30% of the net profit as air drops. Increasing inflation of the coins overtime. Would have been a better choice if they used 30% of the net profit for buy back and token burn out, to guarantee rise of the coin price. Very unattractive for early investors. Business Model - The business model is kind of okey since they have a product which they are leveraging. But it lacks clarity in terms of business development plans, method of authenticating profits to be shared (as this is not on blockchain), etc. Not enough information provided for investors. MVP/ DApp/ Working Product - No working model yet or even an MVP on the crypto - rig but it works on a mobile cell phone (Doesn’t qualify it as a MVP, still…). This makes the project very weak with incomplete informations. 40% Promotion till 30th September 2018.